Video: Nokia N9 versus Nokia N8 video recording. 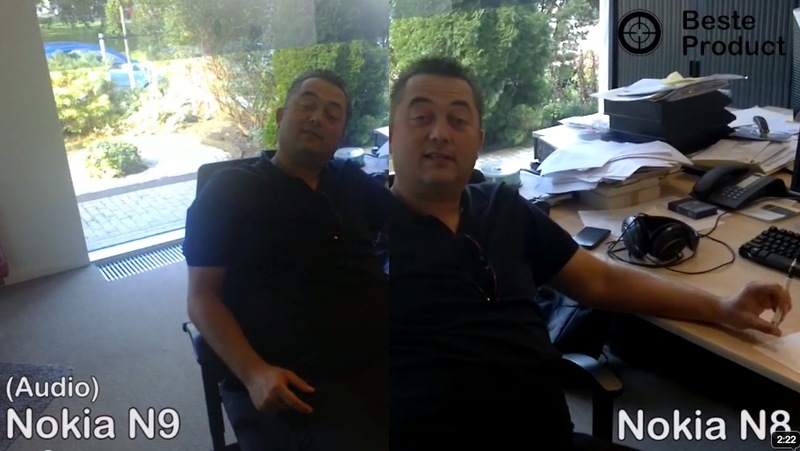 What you’re looking at is a side by side comparison of video from the new Nokia N9 against the now 1 year old Nokia N8. There seems to be some terrible glare coming from the N9, but this effect could happen on any phone with smudges on the camera glass. Apart from image quality, sound is also quite different. I thought I was very much set on preferring the true left/right placement of the N9 (which in some videos, produces a much better atmosphere as it better recreates the sound of your surroundings). However, when doing something like a video interview, it makes sense to have one mic for the background (or interviewer) and one in front for the interviewee. This clashes somewhat when you play sound in stereo, but generally in this instance, audio is clearer for it. It’s up to you what configuration you’d prefer. I’m not sure there are that many other camera phones that take as much care with audio recording, and bring stereo in one form or another. Cheers Ahmed Saleem for the tip!